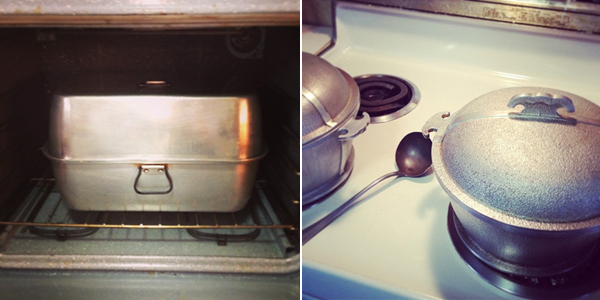 My sister and I got up early yesterday and made the turkey with all the fixins. At one point I started calling it "My Turkey". 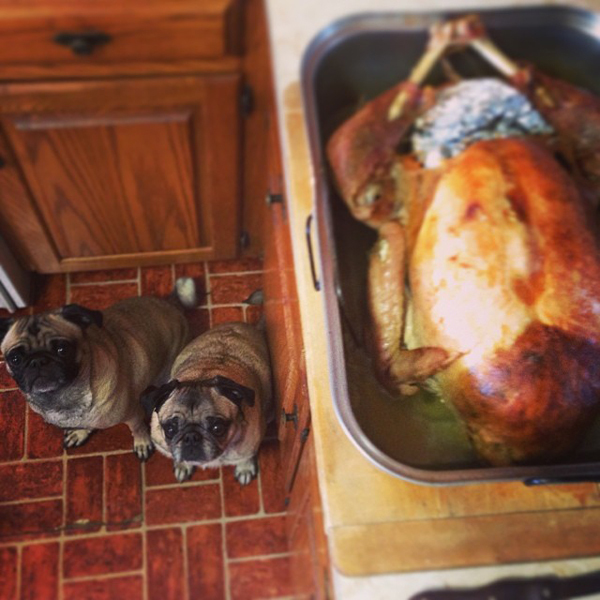 Oscar and Hugo liked to think it was "Their Turkey". 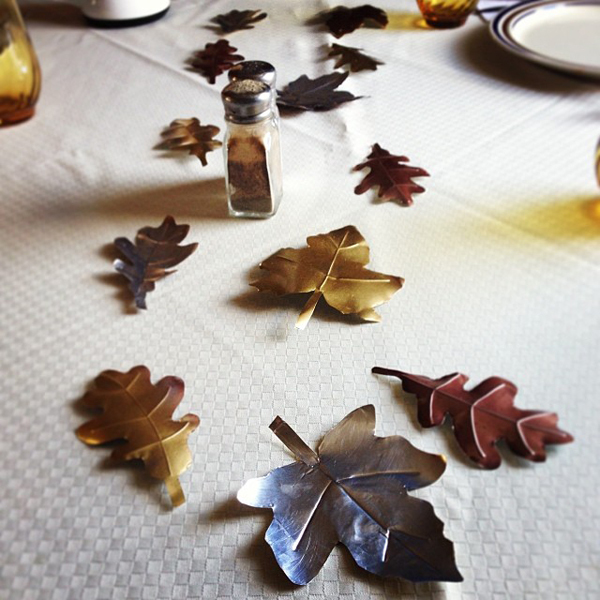 I had spray painted my roasting pan leaves and they went on the Thanksgiving table. I had to scooch them out of the way so they didn't get smooshed in the turkey frenzy. We had good food and family for Thanksgiving which feels like all you need. Much to be thankful for this Thanksgiving.